This is a gorgeous marble tie dye cotton babydoll top! It is available in plus size & supersizes from 0x to 8x in many beautiful colors! It has short sleeves, a square-ish neckline and extra roomy hips! It is approximately 32"-35" long in the center and 4"-6" longer on the sides! The sleeves are about 9 inches long. The style is very flattering! 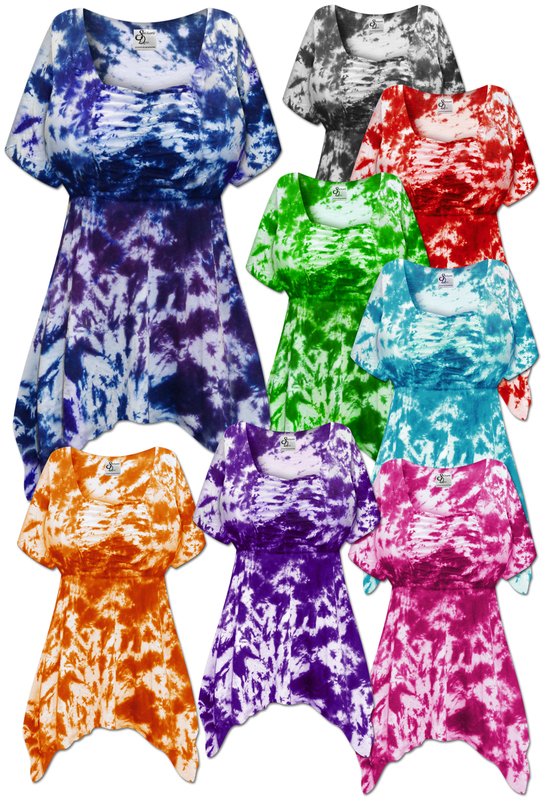 Please note that all of our Tie Dye products are meticulously handmade by an expert artist one piece at a time. 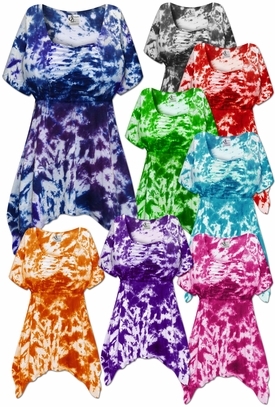 Each Tie Dye pattern is unique due to the handmade nature of the coloring process. No two are alike and color may vary. The subtle variations make your purchase special and one of a kind.